We spent the weekend of August 11th and 12th bouncing between our RV and the casinos in Missoula, MT. 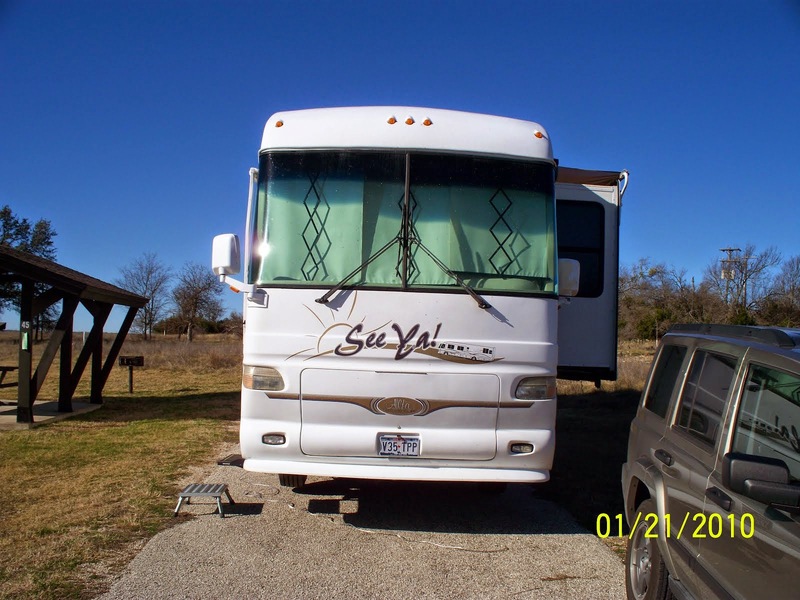 Bretz was supposed to start repairs on our motorhome on Monday and we expected to be on the road again by Wednesday, August 15, 2007. Our air conditioner quit working, but we were not going to stay in Montana any longer. Kathi made arrangements for repairs in Oregon and we were ready to move along. Sure enough the work was completed as planned and we left town on Wednesday. We were thrilled to leave the smoke from forest fires in Missoula. 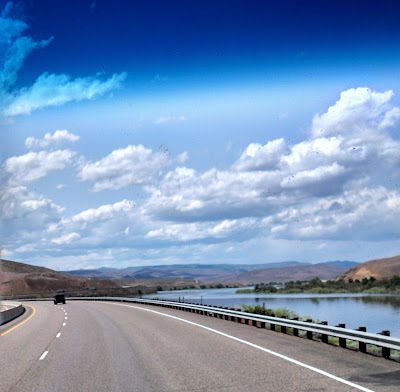 We moved west on I-90, through the Idaho panhandle and into the Spokane KOA in Spokane, WA. It was a two hundred-mile trip and took us about four hours. The KOA had too many trees to suit us and was too expensive at $35 per night, so we only stayed one night. 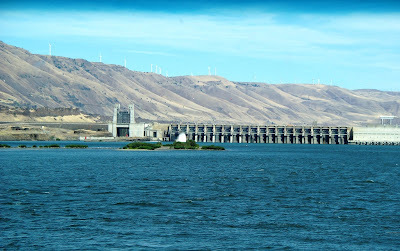 We left the KOA early Thursday morning and moved southwest on I-90 until we got to Ritzville, then we took US 395 into Hermiston, OR. 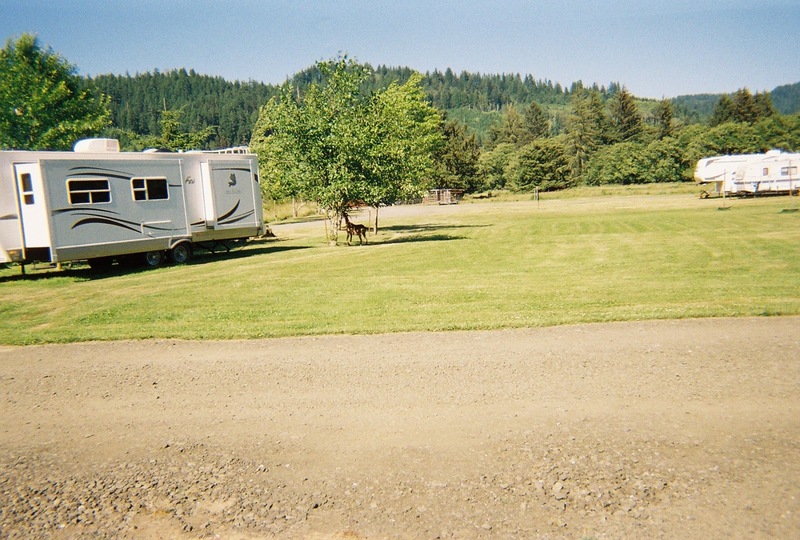 We stopped at the Pioneer RV Park and Kathi payed for three nights at the Passport America rate of $15 per night. We caught up on our laundry on Friday and had a mediocre lunch at a local Mexican restaurant. It was too warm and we were already ready to move along to the coast and some cooler weather. We did a little house cleaning on Saturday and got everything ready to move the next day. It was near a 300-mile trip, but we were searching for cooler temperature. 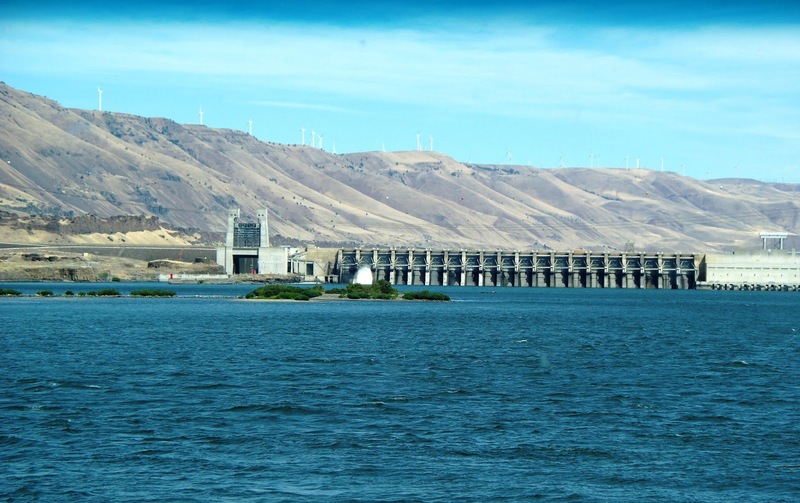 We left Hermiston on I-84 and trailed along the Columbia River, through The Dalles and into Portland. Then we took I-5 south to Salem. We took OR 22 out of Salem, still moving west and south, then we picked up OR 18 until we hit US 101. 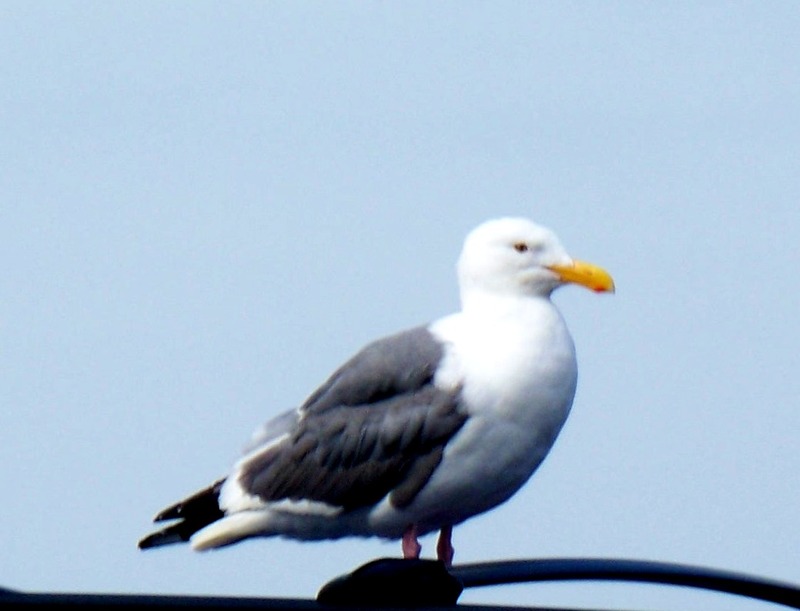 A short trip south on 101 got us to Lincoln City. 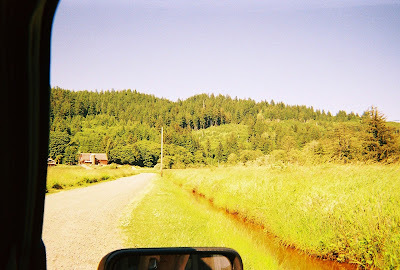 Sunday, August 19, 2007, we moved to the Chinook Bend RV Park in Lincoln City, OR. The rates were reasonable at the Passport America rate of $15 per night. It was our first time at the park and the roads were too rough for our RV, so we would not stay there again. Deer jumping to eat leaves from tree at Chinook Bend RV Park. Rough road out of Chinook Bend RV Park. The red building on the left is the office. The trip on I-84 is a must see for RV travelers. 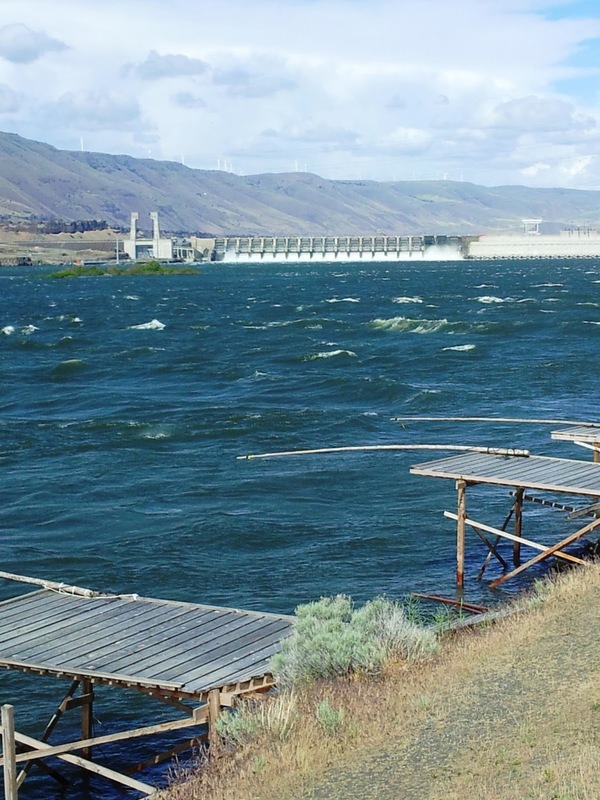 The Columbia River separates Washington and Oregon and provides some of the most fun visuals found anywhere in the country. This trip was great. Lots of green trees and no forest fires. The river views were breathtaking. 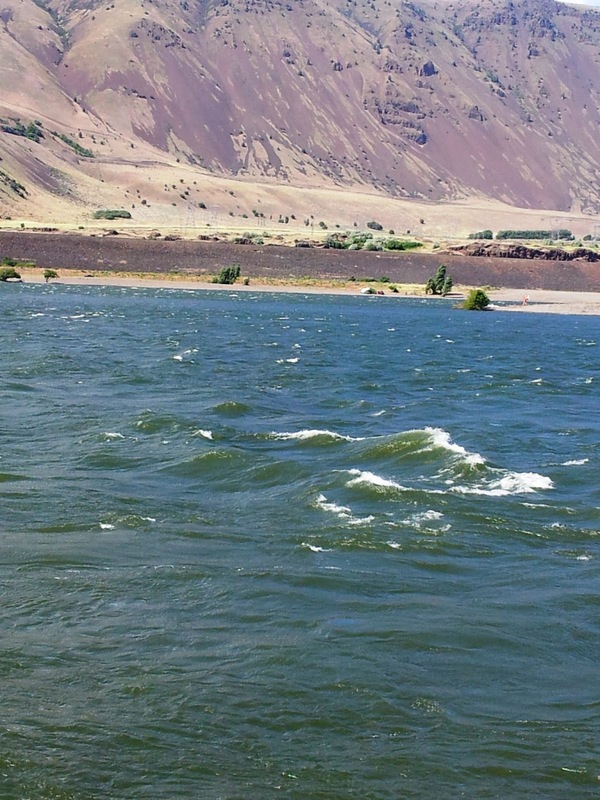 We love to stay on the Columbia River, but this day, we were ready to meet my sister, Carol and her husband Lloyd in Lincoln City. 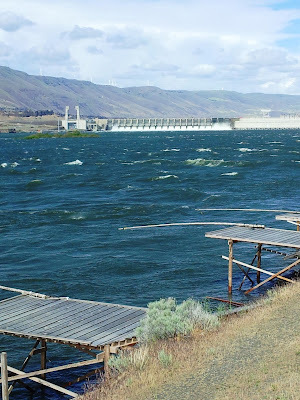 Fishing piers west of John Day Dam on Columbia River. 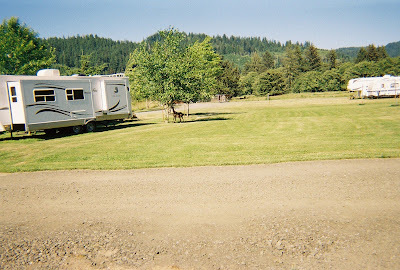 Carol and Lloyd were boondocking at the Chinook Winds Casino parking lot and we went over to visit. It made for a nice ending for a long day and we made arrangements to meet them the next day at the casino for some more fun times.